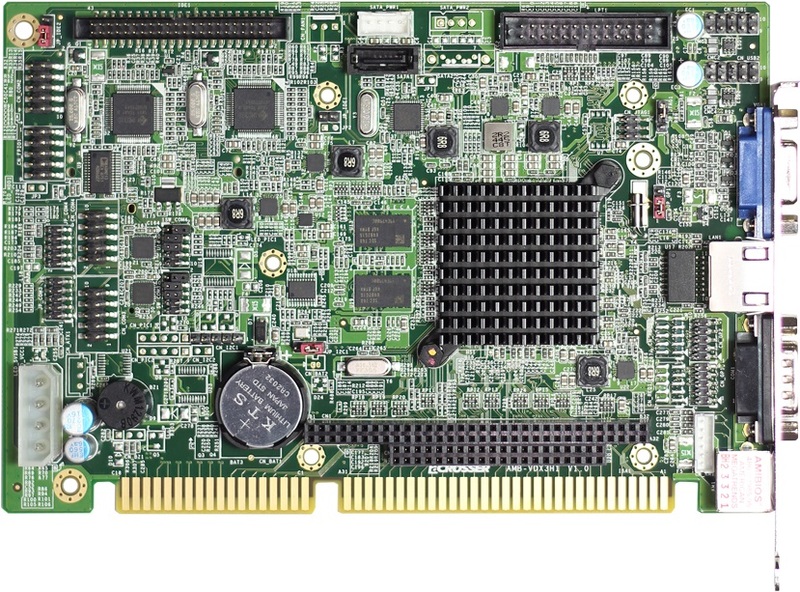 Acrosser offers various standard form factor embedded single board computer(SBC) ranges from PC/104, PCI-104, 3.5”SBC, EPIC to Mini ITX. They feature with fanless, low power, industrial grade design, rich I/O, compact and low profile. Acrosser also provide the service of custom design to meet your special requirement such as extended temperature and medical applications. The AMB-VDX3H1 offers full and legacy ISA bus following PC/104 2.6 specifications, and supports IDE, SATA and CF card storage. The SBC is equipped with VGA(DB15) along with 4 USB 2.0 ports, two RS-232/422/485 serial ports, and two RS232 serial ports. There’s also 1 PS/2 port, 1 JST connector, 1 PC/104 Expansion Slot and 1 ISA golden finger. • IDE, CF, SATA storage. In response to the rising of artificial intelligence (AI), high-definition audio and video streaming and online live broadcast, data high-speed computing and transmission applications, Intel and AMD have launched a new generation of server platform products, including Intel’s next-generation Xeon® scalable processor family - Purley CPUs which are based on the Skylake-SP architecture and planned to replace the previous both Xeon® E5 and E7 processors powered by Broadwell microarchitecture. In order to provide customer more choices in entry-level network solution, today ACROSSER Technology, a world-leading network appliance supplier, proudly revealed its latest micro box fan-less network appliance -AND-APL1N1FL series. ACROSSER Technology latest network appliance, AND-DNV3N2, which equipped with Intel® Atom C3558 Denverton-NS Platform and 2x SO-DIMM DDR4, 6x GbE, 2x USB 3.0, 2x Mini PCIe(One support SIM card socket),1x 2.5" SSD and TPM 2.0 for a secure cryptoprocessor. This optimized system design allows network systems to function in a small footprint and form factor. In this particular size, the AND-DNV3N2 is a great alternative for the budget-conscious buyers. 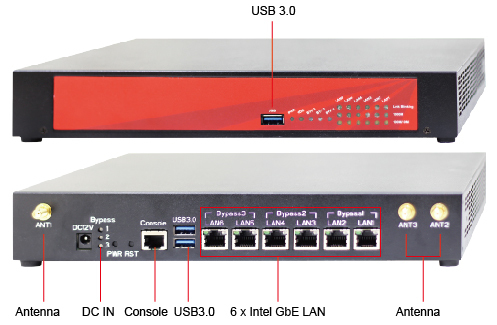 This cost-effective network security appliance can offer stable performance with low power consumption; and is suitable in multiple security applications including: network intrusion prevention, content filtering, data leak prevention, VPN, unified threat management (UTM) and SD-WAN solutions.